How can southern thinking be applied in everyday life? A new publication points towards a new kind of design that might be practiced in the South. Tony Fry has pioneered a philosophical approach to design, with reference particularly ontological questions of being. With Anne Marie Willis he edited Design Philosophy Papers, which provided a forum for questions of sustainability that went beyond better light bulbs. Fry’s books including the trilogy Design Futuring: Sustainability, Ethics, and New Practice (2009), Design as Politics (2011) and Becoming Human by Design (2012) offer profound insights into the nature of what it is to design in the world. They articulate the practice of ‘sustainment’ as a means of ‘futuring’ a world. Practical extension of this include reductive design, which seeks to eliminate the affordances for consumption that capitalist design has accumulated. Until recently, Fry has headed the Masters of Design Futures at Griffith University. 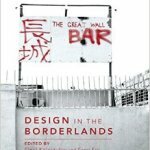 With colleague Eleni Kalantidou, he has just published a collection of essays Design in the Borderlands that extend the question of design into a southern context. A key concept is Walter Mignolo’s ‘border thinking’. As they define it, ‘By implication, border thinking breaks out of disciplinary boundaries; it crosses borders, is nomadic, as such it is: a thinking along, within and about borders rather than a thinking of them.’ Within this framework, the volume includes a refreshingly cosmopolitan approach to design. Chapters consider what design means in different cultural contexts. Perera and Gillet seek to go beyond the colonial school of Lusotropicalism in African design to consider local practices, such as Luanda’s taxi system. Fry’s own chapter on East Timor champions the embedded knowledge in traditional crafts otherwise eclipsed by the technologies brought in by Western specialists. From the Middle East, Samer Akkach considers the various ways that design can be understood in an Arabic context. He elaborates the concept of ‘sana’ associated with craftsmanship and its eventual replacement by ‘tasmin’ which associates design with an elite skill influenced by Western models. 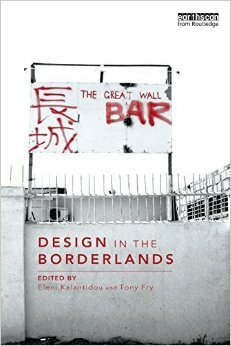 Design in the Borderlines is an essential link between southern theory and design. It offers the conceptual architecture necessary to connect pluralist epistemology with the practice of design across the South. Can it be applied in the South? This presents a significant challenge. Its publication reminds us how much more there is to be done. There are many more steps necessary before we can get beyond design philosophy to the practical business of design in the ground, including the concrete ethics of relations between designers and their world. Echoing Raewynn Connell’s call in Southern Theory for a ‘dirty theory’, we need to hit the road to work out how a new design approach might intersect with daily life. Design in the Borderlines is resolutely anti-development in its crude capitalist sense. Yet there may be situations where local communities might resist a call to return to their craft roots. There needs to be dialogue between the practical aspirations of communities in the South and the political values common in southern thinking. The issue of neo-extractivism in Bolivia is an example of this kind of debate. While Design in the Borderlands is an excellent platform, a dialogical approach seems important to reflect the multilateral nature of the South. Kalantidou, E & Fry, T 2014, Design in the Borderlands 1 edition., Routledge, New York, NY.